I skipped New Year's resolutions last year because I was hoping to continue working on those I had in for 2014. Instead, I announced that I'd be devoting more time here at Atheist Revolution to addressing the free expression of ideas as a vital aspect of freethought. I still have far more to say about this important topic, but I am generally satisfied with my 2015 efforts. In 2016, I plan to make more of an effort to listen to others with different opinions and refrain from calling them names on the Internet. "Listening" in the sense I'm using it here means both hearing what someone is saying and attempting to understand his or her perspective. It is an active and effortful process. It also means no putting words in the speaker's mouth, no attempts to make what he or she is saying fit any particular agenda or narrative I might wish to support, and no hasty dismissal of ideas I find objectionable without considering what is being said. When I do encounter persons with different opinions, I will try to refrain from calling them names simply because they have different opinions. I'm not going to call people who criticize radical feminism "MRAs" or "neckbeards." I'm not going to call people who plan to vote for third party candidates "irrational," "stupid," or "traitors." And I'm not going to call religious believers "deluded morons." None of this means that I will not use labels to group people who consistently behave in certain ways (e.g., regressive left, social justice warriors, Christian extremist, Islamist), but it does mean that I'm going to try to steer clear of the juvenile name calling which seems to dominate social media today. Closely related to this resolution is something I've already started doing and plan to continue doing in 2016: actively seeking out those with different backgrounds, opinions, and perspectives and listening to what they have to say. So far, this has included cultural libertarians (a group I wasn't sure about initially but now consider myself a part of), progressive activists, moderate Muslims and ex-Muslims working to reform Islam, and even Trump supporters. I have already learned a great deal, some of which I will be sharing here in upcoming posts. 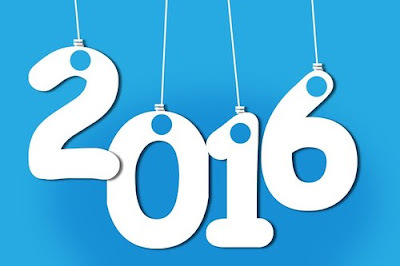 I look forward to learning more in 2016.